According to the American Chiropractic Association’s website, the word “chiropractic” comes from the Greek words meaning “done by hand.” The name was chosen in 1895 by the developer of modern chiropractic, Daniel David Palmer, to describe his approach to healing. 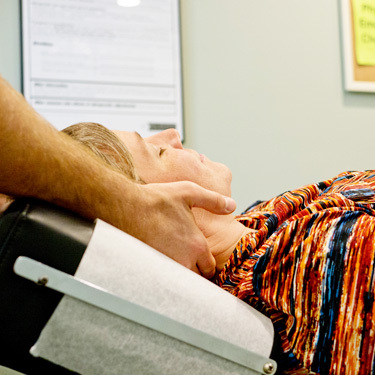 Chiropractic care follows in a tradition of “hands on healing” which has been practiced in many cultures around the world for thousands of years. At Atlas Chiropractic, Massage and Wellness Center we are very proud to continue this legacy in providing modern chiropractic care, as it has been done for many centuries. 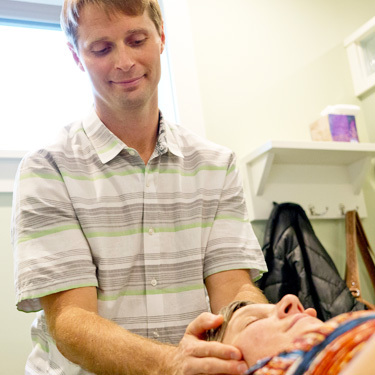 Dr. Andrew uses a number of highly effective adjusting approaches to help improve spinal biomechanics and reduce nervous system interference. The approach we use with an individual person is based on our judgment and years of experience. 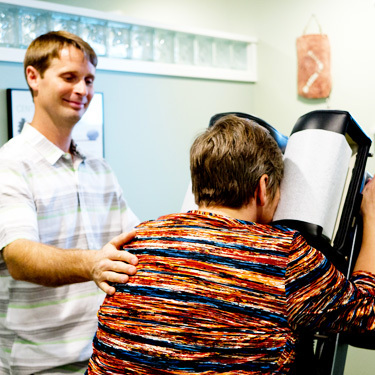 We pride ourselves on providing the most current and advanced chiropractic care possible. Our care promotes the body’s ability to heal itself without the use of unnecessary drugs or surgery. We believe in matching our technique to what your body needs. At Atlas, we say if a joint in your body has pain, we can help you. You can rest assured that you won’t be adjusted until you feel ready to proceed. All of your questions will be answered so that you’re fully informed before starting. If you choose not to move forward, we’ll be happy to refer you to another practitioner that is better suited to you. We also offer massage therapy and therapeutic exercise and can recommend these services to you when appropriate. Schedule your first appointment with us today! On-site X-ray facilities are available.